With the support of Southern Oregon University and our local government sponsors, RVTV provides citizens in the Rogue Valley with the access, skills and tools needed to create and broadcast television programming to large audiences in the community. Watch public access programming on RVTV Voices — Channel 15 (for Ashland TV cable subscribers), Channel 182 (for Charter Cable subscribers) or on RVTV’s livestream player. Rogue Valley Community Television also partners with the Internet Archive to showcase our Public Access Programming for a global audience. 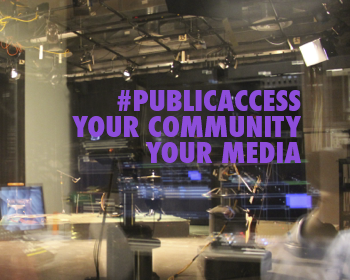 To see all available programming created by Rogue Valley producers, please visit our page on the Public Access Archive. Local citizens can take courses in media production, get access to cameras, studios and other resources, and bring their programming to local audiences served by Charter and AshlandTV cable companies.